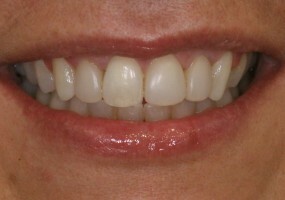 This patient had composite build ups placed 8 years ago and are still looking great! 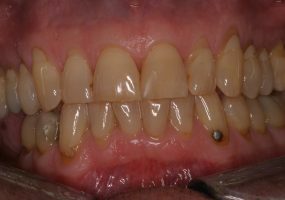 One Implant – Two teeth! 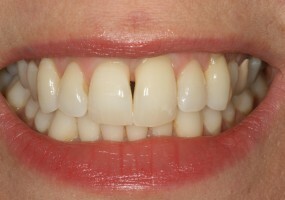 Patient who had two front teeth removed, had two new teeth fitted on one implant! 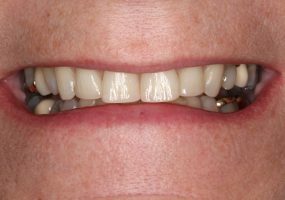 This patient had all her upper teeth removed, and had 12 new teeth fitted on 6 implants. 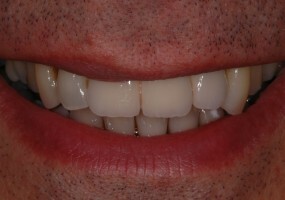 Amazing results thanks to our team approach and specialist staff. 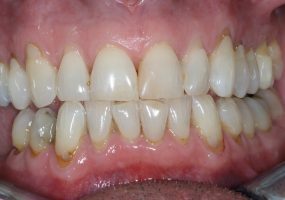 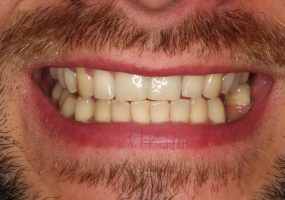 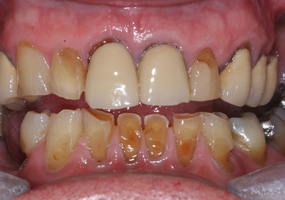 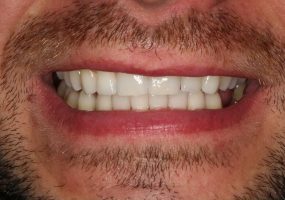 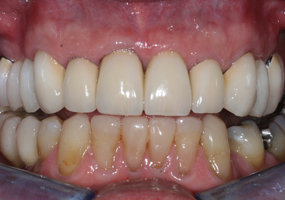 With dentist prescribed bleaching trays, this patient's smile went from dull to stunning! 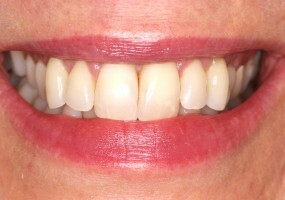 A great example of how, when conducted by a qualified dentist, teeth whitening can deliver amazing results. 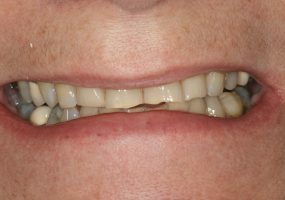 The patient was unhappy with her appearance. 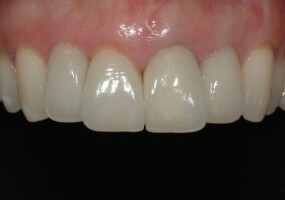 The solution - a treatment plan involving fixed orthodontic, tooth whitening and 3 composite veneers. 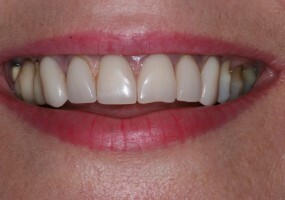 The patient is very happy with the outcome. 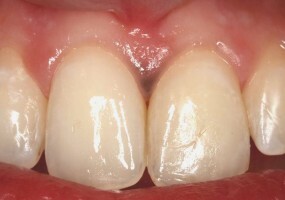 They can appear with receeding gums. 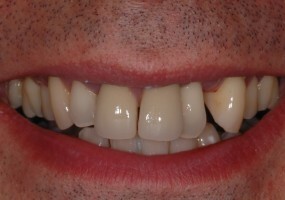 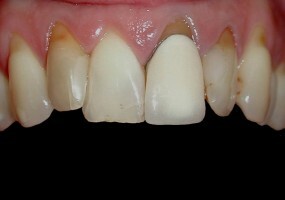 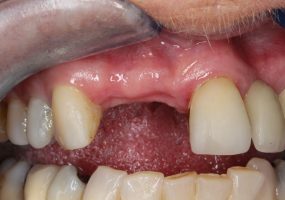 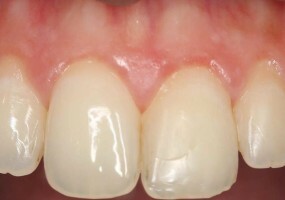 These were treated with minimal intervention with a composite filling material. 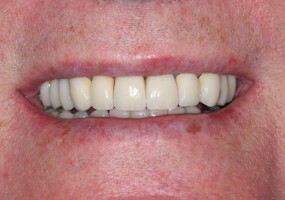 The patient said, it has given me my confidence back. 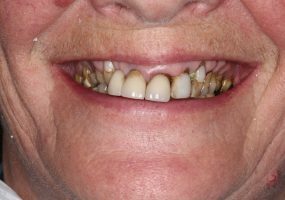 Failing dentition, including wear, erosion, poor aesthetics and missing teeth. 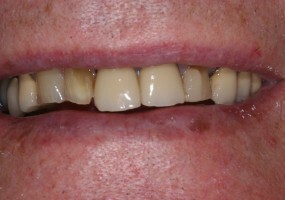 Failing dentition, including wear, erosion, poor aesthetics and missing teeth. 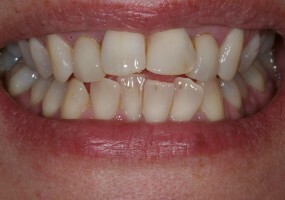 Treated with a combination of white fillings, crowns and implants. 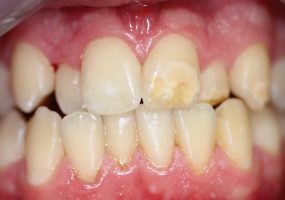 Treatment now 4 years old and no problems. 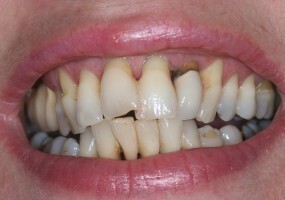 A 21 year old who had been told she had something stuck between her teeth - for years! 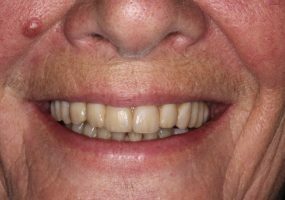 She sadly told us that she hated taking pictures and had lost self-confidence. 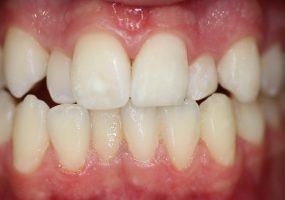 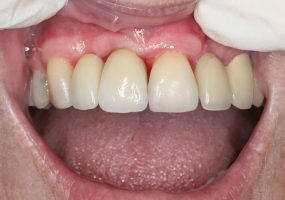 A simple gingival procedure made all the difference!